Walking, Way Overrated: WOOHOO! FIFTY AND LOVING IT! According to a dear family member, I have been informed that I am the only person who was ecstatic to be fifty. Funny, they were implying that it was almost as if it wasn't "normal"to feel that way about reaching the half century mark. 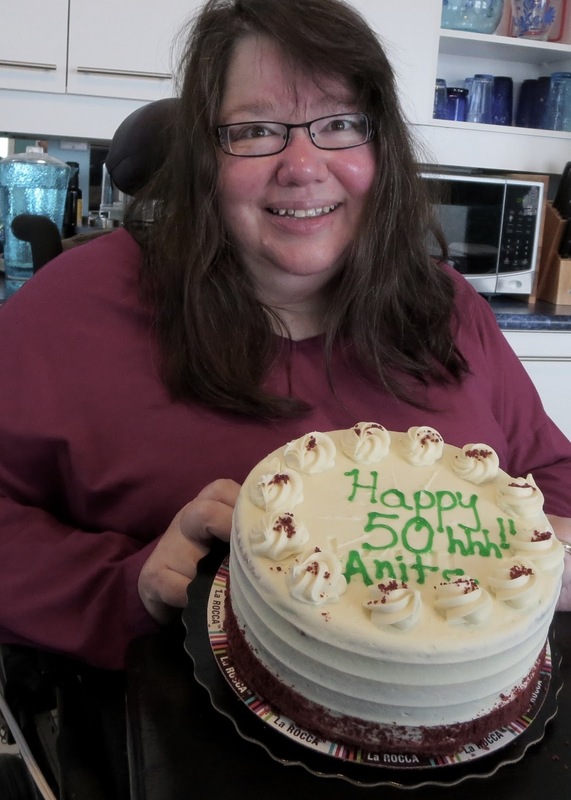 Well, I am here to testify and confirm what I had already anticipated, that yes, after two whole days since the big event, I really do love being able to say, "I am fifty!" Seriously, saying it, with great honour and privilege, actually moves me to tears. Ya, I know, it may sound corny to many, but not for me. I encourage all friends and those who I may never meet, to not fret or allow vanity to ruin the momentous event. Aging for me is an adventure that I really thought I wouldn't get to experience. More on that another time. So woo hoo, yay, fifty!!! Thank You Lord for this grand adventure called life!